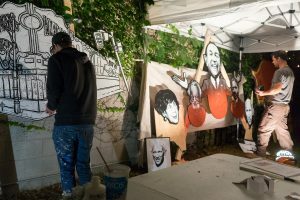 Beloved idols returned to Mirvish Village as the Plywood Collective painted a mural outside Markham House. 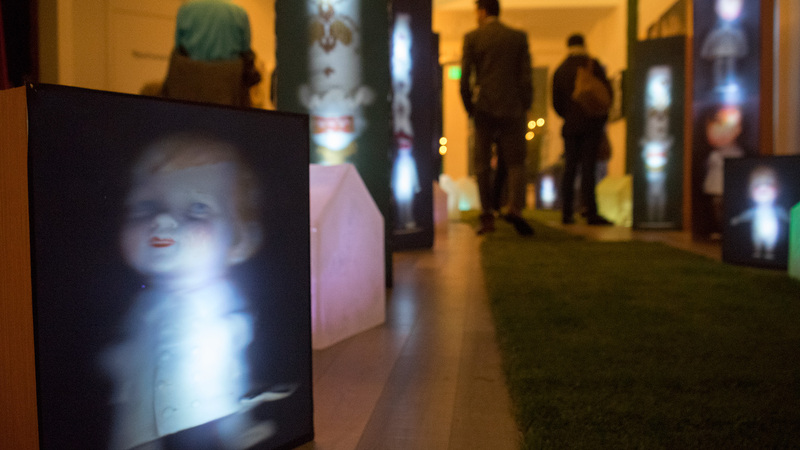 Small lit houses, luminous lightboxes, and a disproportionate music box featured in Maison/Home by Claude Miceli and Jean-Christian Knaff inside Markham House. 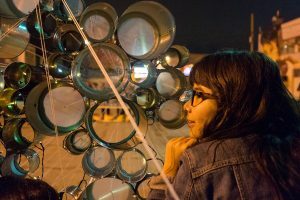 A tin can phone sculpture connected viewers with the work and each other in the interactive Conversational Partner by Allie Brenner and Laura Snider in the Honest Ed’s parking lot. 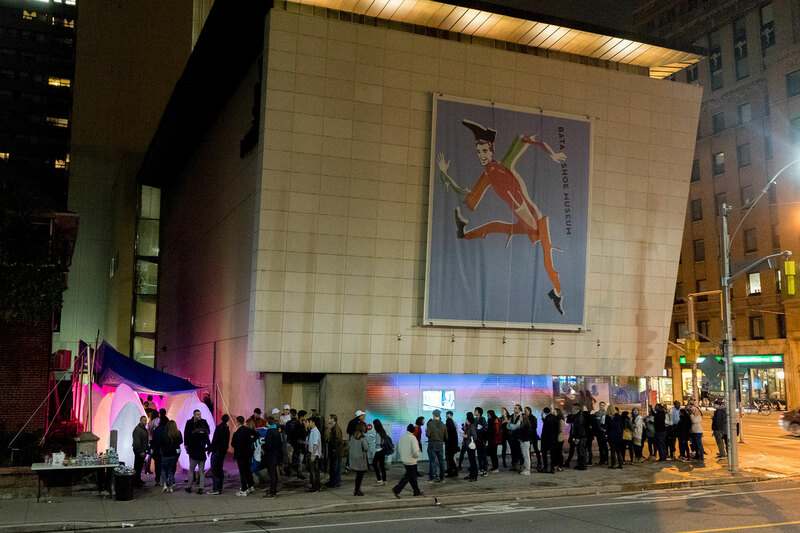 Crowds wait to enter Cushion: An Interactive Media Womb by F_RMLab at the Bata Shoe Museum. 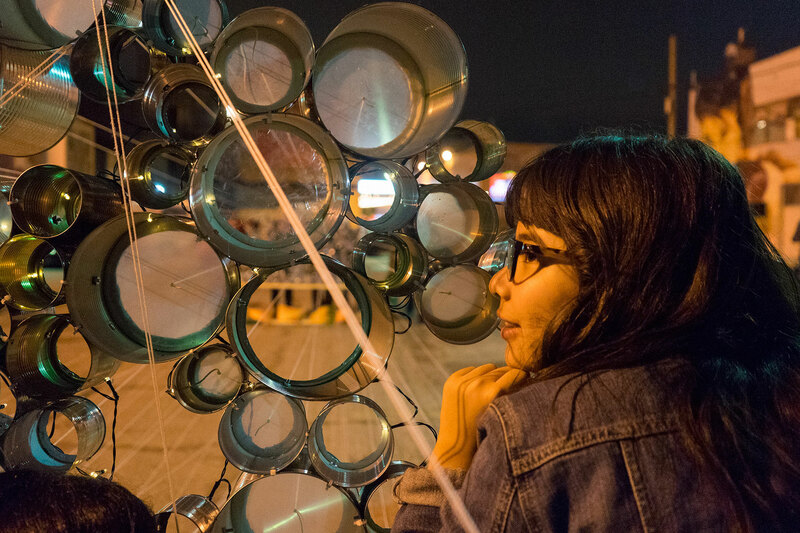 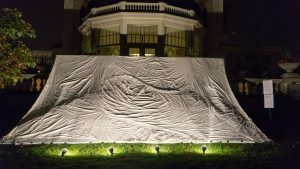 The installation replaced the “buzz of the city” with “a space of reflection”, as visitors interacted with “friendly beings” in an “atmosphere created by touch, light, and sound”.